Ms Sarah Chapman is Head of Department at the Department of Education and Training (Queensland). She graduated from the James Cook University (JCU) with a Bachelor of Science (Honours Class 1) in 1999 and a Bachelor of Education in 2004. Sarah has been instrumental in the development and implementation of the Australian School Innovation in Science, Technology and Mathematics project which aims to develop specific skills and an interest in science in middle school students. This project has promoted teacher confidence in teaching science and improved school links with the community and JCU, and has facilitated an easier transition for students from primary to secondary school. Sarah was a Teacher Finalist in the 2013 BHP Billiton Science & Engineering Awards and her work has been recognised with an Australian Award for Teaching Excellence in 2009, and the prestigious 2013 Prime Minister’s Prize for Excellence in Science Teaching in Secondary Schools. Sarah wants to see greater diversity in science and is keen to encourage all of her students, girls and boys, to participate. Sarah was the Manager of Global Tropics Future Project which involved setting up a STEM Hub for North Queensland, and commits extensive portions of her own time lifting the profile of science by working with students, teachers and the broader community. She is passionate about enthusing and engaging people about the science. She became a STAQ member in 2008 and the STAQ Vice President in 2016. She is a partner of the QLD STEM StepUp committee. Sarah has travelled to countries like Japan and the United States of America to expand her knowledge, skills and networks in STEM education. 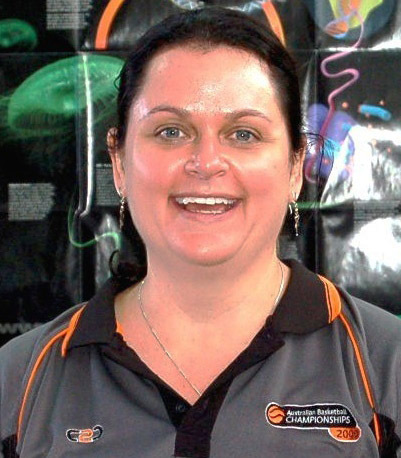 Sarah’s work has been recognised with a prestigious Peter Doherty, Outstanding Teacher of Science Award in 2008 (Queensland Government) and an Australian Award for Teaching Excellence in 2009 (Teaching Australia). She also led a cluster of schools to be awarded the Commonwealth Bank of Australia Showcase Award for Excellence in the Middle Phase of Learning in 2009 (Education Queensland). In 2010 Sarah was awarded the James Cook University Alumni – Outstanding Early Career Award. In 2013 Sarah was acknowledged by being awarded the Prime Minister’s Secondary Science Teaching Prizes. In 2014 she was selected as a Queensland Government Science Champion and Sarah’s innovative teaching strategies have been featured on ABC’s Lateline. Sarah graduated from James Cook University with a Bachelor of Science with Honours Class 1 in 1998 and a Graduate Bachelor of Education in 2003. 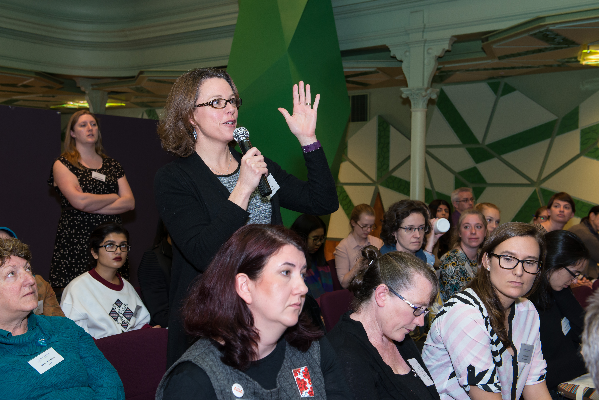 In 2016 Sarah was awarded the inaugural Barbara Cail STEM Fellowship with Chief Executive Women and The Office For Women, Department of the Prime Minister and Cabinet. She shares her experience and report here: Engaging the Future of STEM. In 2017 Sarah was elected a Member Fellow of the Royal Australian Chemical Institute and in 2018 was appointed a STEM Ambassador with Science and Technology Australia. Advice for starting a career in science? Always do voluntary work and gain on the job experience. A degree is not enough to gain employment in the science sector, having work experience to compliment your study will support your career opportunities and better prepare you for the workforce. Who and what inspires you to achieve? I am passionate about inspiring others to understand and love science. I am inspired by science itself, the true wonder of science amazes me! I am inspired by the students I teach and work with. To be a teacher and involved in inspiring the next generation of problem solvers and inventors excited me. I am constantly inspired by the researchers that constantly go beyond the bounds of scientific understanding to make new discoveries and technologies. The most valuable attribute that helped me succeed? My passion for what I do and persistence to keep on working to inspire others. What are you most proud of in your science career? Inspiring my students to have a lifelong passion with science. To see them become doctors, engineers, research scientists and teachers. To see them make an impact where they are and to have been a tiny piece in that journey. So inspiring! What inspired you to science? Have you always loved science? What do you love most? My teacher in Year 8 inspired me about science. I was a kid that loved to explore and question things, he encouraged me with my skills into the world of science. I have always loved it, but my eyes were opened in Year 8 to all the avenues it could take me. What I love most about science is that it is everywhere and so dynamic. It is a platform that allows me to always keep on learning, which is the best thing you can ask for, constantly challenged and constantly getting to experience that sense of wonder!